Posted on 05/06/2015 by james | Comments Off on Great Tips! Want the inside scoop for the island of Maui? We’ve got it. 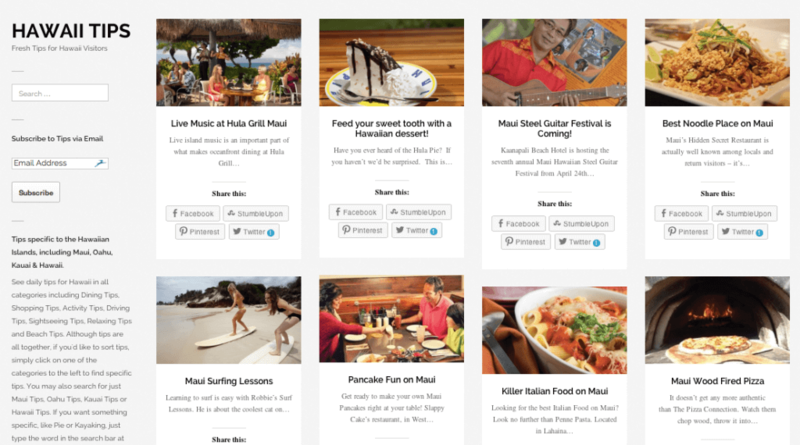 Hundreds of tips, deals, secrets, recipes and more – all about Maui, Hawaii. New tips every day! To check them out, click here. Great tips for your vacation on the island of Maui.